Abu Dhabi: The Federal Authority for Nuclear Regulation (FANR) is in its final stages of reviewing and approving the operating licence for the Barakah Nuclear Plant, according to the body’s director-general who briefed the media in Abu Dhabi on Wednesday. “It is our commitment as the country’s nuclear regulator to ensure safety and security towards the nuclear power plant. We are currently reviewing the operating licence application, which was made by Nawah Energy Company for Units 1 and 2 of Barakah in Al Dhafra,” said Christer Viktorsson. “[We are] not ready yet to issue the operating licence, but we are at the final stage,” he added. 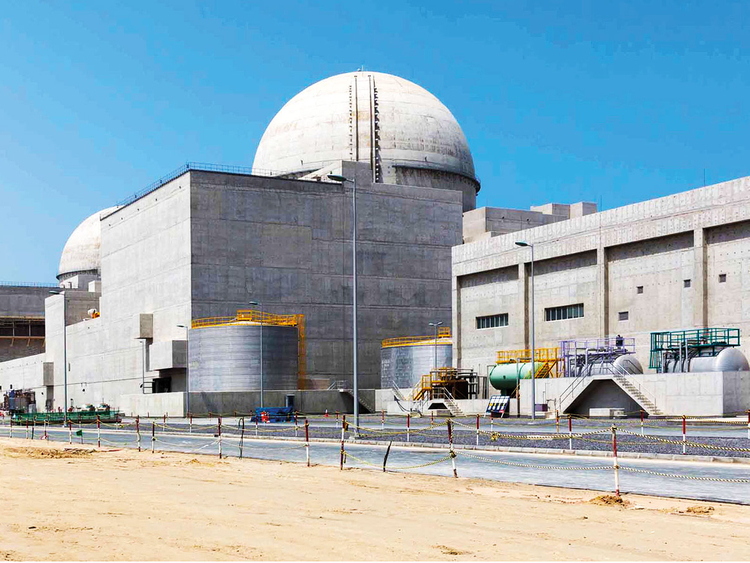 Viktorsson said he would not provide a date on when the licence would be approved, saying it was down to Nawah — the subsidiary company of Emirates Nuclear Energy Corporation (ENEC) — to signal their readiness to start operating the nuclear plant. Putting this plant into commission is purely in their hands — Nawah and Enec — they are managing the project and are the operators. “We have three elements [when approving the operating licence] — the first is we review the application documents that were sent in 2015, and we are essentially at the end of that effort. The second component is the verification that the nuclear power plant has been built according to the requirements … The third element is organisational readiness,” Viktorsson explained. “When we are convinced that Nawah can fulfil all the regulatory requirements, we will issue the operating licence,” he added. “Putting this plant into commission is purely in their hands — Nawah and ENEC — they are managing the project and are the operators … When we conclude that all three components are finished, we are [then] ready to recommend to our board the issue of the operating licence,” he said. Viktorsson said that ensuring safe operations at the Barakah Nuclear Power Plant, not timelines, was the main priority for FANR. “We are the regulator, and we regulate according to the highest standards internationally. We use the International Atomic Energy Agency’s (IAEA) safety standards as our basis and other inputs we get from other countries. We are working to make sure Barakah meets the highest standards for safety, security and non-proliferation,” he added. Viktorsson also spoke on FANR’s commitment towards radiation protection, highlighting how the body was working to draft a national strategy for radiation protection. “Protecting the public and the environment represents the core of FANR’s mission. We are currently working in collaboration with 26 stakeholders to draft the UAE National Strategy for Education and Training in Radiation Protection. “The strategy involves various aspects such as education ... it will create various training courses for radiation protection officers [and] emergency workers. Such a strategy will help build national capacity in a highly technical field to ensure it’s future sustainability,” he added.